Seeds of DestructionThe following pages trace the spread and proliferation of GMO, often through political coercion, governmental pressure, fraud, lies, and even murder. If it reads often like a crime story, that should not be surprising. The crime being perpetrated in the name of agricultural efficiency, environmental friendliness and solving the world hunger problem, carries stakes which are vastly more important to this small elite. Their actions are not solely for money or for profit. After all, these powerful private families decide who controls the Federal Reserve, the Bank of England, the Bank of Japan and even the European Central Bank. Money is in their hands to destroy or create. More on the Food Frackers. The above extract is something that the US government and the agribusiness interests it serves do not want to hear. It represents a grass-root challenge to their intertwined commercial and geopolitical interests. Rather than wanting to transform society and food and agriculture, these state-corporate interests require business as usual. Global agribusiness is threatening food security and food sovereignty. It has been able to capture government regulatory/policy agendas, important trade deals and global trade policies. Monsanto itself is a major player and wields enormous influence and receives significant political support. That company has a history of knowingly contaminating the environment and food with various harmful substances and engaging in cover ups and criminality. In recent times, much resistance to the power of agribusiness has centred on seed patenting, the deleterious impacts of glyphosate-based herbicide and the dangers that GMOs pose to human and animal health and the environment. For instance, there is a massive campaign in North America to get GMOs labelled (despite the fact they were put on the market fraudulently in the first place), and there is the on-going debate over the carcinogenicity of glyphosate. But if mandatory labelling is successful and glyphosate is banned, what next? Years of debate, deception, industry-funded science and PR over RNA interference, synthetic biology or some other ‘cutting-edge’ technological development and regulatory bodies and government agencies colluding with companies? That would suit powerful corporations just fine. By the time they surrender ground on one issue (if they ever do), the next technology is ready to be rolled out and be promoted or protected by their army of lawyers, PR departments, front groups, glove-puppet politicians and officials. Then it is left to the public and various civil organisations to fight the good fight all over again and engage in another rear guard action that could take decades to resolve. In the meantime, profits are secured, while health, agriculture and the environment are further degraded. “What should be concerning is the money trail supporting the ‘funny’ science that keeps coming out about biotech foods. Or that according to a report that was released last summer, the global elite have up to 32 TRILLION dollars stashed in offshore banks around the globe, which can fund lawsuit after lawsuit against the people who are tired of being poisoned. In capitalism, private commercial entities are legally obliged to maximise profit, thereby serving shareholder interests ahead of any notion of the public good. According to the description of liberal democracy in textbooks, the state will act to protect the public interest. What is missing from the term ‘liberal democracy’ is the word ‘capitalist’. In capitalist liberal democracies, the state serves the interest of private capital, first and foremost, and does its best to convince the public that commercial interests and the public and national interest are one and the same. A recent piece in Truth Out describes how the people at Monsanto work inside a (well-paid) bubble defined by a business model that is aimed at market capture and profit maximisation. In the same piece, Chris Shaw, a New York-based analyst at Monness Crespi Hardt & Co states: “Glyphosate really crushed it,” implying its sales a major boost. The bottom line is sales and profit maximisation – and the unflinching defence of glyphosate. Monsanto might like to think all of this forms a good business model and that a ‘good business model’ and what is good for the public is one and the same, whether the public likes it or not. This is clearly deluded thinking, given the health impacts of glyphosate and, for example, the overall impacts of GMO crops throughout South America. But through massive PR and advertising, this warped mindset or ideology is perpetuated not only within the confines of the company but is also rolled out to try to convince the public of the same. And through political influence, policies are put in place on Monsanto’s behalf. The public is expected to sit back and take the poison. It’s for their own good! But this is the nature of hegemony: power holders strive to manipulate beliefs, explanations, perceptions and values so that their imposed worldview becomes accepted as valid, which in turn justifies the social, political, and economic status quo as natural, inevitable and beneficial for everyone. So Monsanto and other powerful corporations are regarded as acting in the public interest (although in Monsanto’s case, at least among the more informed members of the public, that belief died many years ago). With the nominations for the US election upon us, much is being written about commercial influence that determines the structure of power in the US (not least Monsanto’s role). However, things are not too much different elsewhere. In 2012, British Labour MP Austin Mitchell described the UK’s big four accountancy firms as being “more powerful than government.” He said the companies’ financial success allows them privileged access to government policy makers. Similar sentiments concerning ‘privileged access’ could also be forwarded about many other sectors, not least agritech companies which armed with their poisons, unsustainable model of industrial agriculture and bogus claims have been working hand in glove with government to force GMOs into the UK despite most people who hold a view on the matter not wanting them. The impact and power of think tanks, lobbying and cronyism means that the major political parties merely provide the illusion of choice and democracy to a public that is easily manipulated courtesy of a toothless and supine corporate media. All the main parties have accepted economic neoliberalism and the financialisation of the British economy and all that it has entailed: weak or non-existent trade unions, an ideological assault on the public sector, the offshoring of manufacturing, deregulation, privatisation and an economy dominated by financial services. The economy is now based on a banking and finance-sector cartel that specialises in rigging markets, debt creation, money laundering and salting away profits in various City of London satellite tax havens and beyond. Despite his sound bites about cracking down on tax avoidance and tax havens, PM David Cameron is also implicated in offshoring his wealth to avoid taxes. This article in The Ecologist shows he and his political cronies are up to their eyeballs in such practices. The banking industry applies huge pressure on governments and has significant influence over policies to ensure things remain this way. But the mainstream political narrative concerns itself with welfare scroungers, immigration, terror threats or personality politics. Anything to divert attention from the tax-avoiding super rich, the destructive neoliberal agenda they have forced on people and the pushing of policies that would guarantee further plunder, most notably the Transatlantic Trade andInvestment Partnership (TTIP). Anything to avoid discussing profiteering cartels, how taxpayers’ money was turned into corporate welfare for the banks or how the richest 1,000 families in the UK having seen their net worth more than double since 2009, in the worst recession since the Great Depression, to £547bn, while ‘austerity’ is imposed on everyone else. Again, the media, politicians and commentators try to convince this is all for their (the public’s) own good. In India, the links between the Monsanto-Syngenta-Walmart-backed Knowledge Initiative on Agriculture and the associated US sanctioning and backing of the opening up of India’s nuclear sector to foreign interests indicate the type of pro-corporate ‘development’ being pushed through. The combined wealth of India’s richest 296 individuals is $478 billion, some 22% of India’s GDP. This is larger than the GDPs of the UAE, which stood at $402 billion, South Africa ($350 billion) and Singapore ($308 billion). Taking this discussion to a global level, Andrew Gavin Marshall states that at the top of the list of those who run the world, we have the major international banking houses. He adds that these dynastic banking families created an international network of think tanks, which socialised the ruling elites of each nation and the international community as a whole, into a cohesive transnational elite class. The foundations they established helped shape civil society both nationally and internationally, playing a major part in the funding – and thus coordinating and co-opting – of major social-political movements. The model of neoliberal state-capitalist development being imposed on the world effectively serves the vested interests of an increasingly globalised and integrated elite. To underline this point, David Rothkopf, in his book ‘Superclass: The Global Power Elite and the World They Are Making’, argues that the world’s superclass constitutes approximately 0.0001 percent of the global population. This class comprises the money-encrusted, megacorporation-interlocked, policy-building elites of the world: people at the absolute peak of the global power pyramid. They set agendas at the Trilateral Commission, Bilderberg Group, G-8, G-20, NATO, the World Bank and the World Trade Organization and are largely from the highest levels of finance capital and transnational corporations. Further evidence indicates that a relatively small group of companies, mainly banks, hold disproportionate power over the global economy. This elite ensures the corporate media says what it wants it to say, opposition is controlled, wars are fought on its behalf and the corporate control of every facet of life is increasingly brought under its influence – and that includes food: what is in it, who grows it and who sells it. Aside from outlining how the Rockefeller-backed green revolution reshaped agriculture, which has been documented elsewhere, this film report by James Corbett also describes how Rockefeller, Ford and Firestone conspired to destroy aspects of US transport infrastructure and rebuild it for their own financial gain. It is but one example from the many that Corbett presents to show that, from WW1 to the Arab-Israeli War in 1973 and from the 1979 Iranian revolution to Syria, powerful oil and associated financial interests have had a hand in recasting the world in their own image, regardless of loss of life, environmental degradation or the wholesale destruction of economies. Transnational agribusiness is very much embedded within the power structures outlined above and plays a key role in determining global and regional policies. While tackling agribusiness on an issue by issue basis is necessary, there is a need to appreciate the nature of capitalism, power and neoliberal globalisation itself. The more this is understood, the more urgent the need becomes to establish societies run for the benefit of the mass of the population and a system of food and agriculture that is democratically owned and controlled. This involves encouraging localised rural and urban food economies that are shielded from the effects of rigged trade and international markets. It would mean that what ends up in our food and how it is grown is determined by the public good and not powerful private interests, which are driven by commercial gain and their compulsion to subjugate farmers, consumers and entire regions, while playing the victim each time campaigners challenge their actions. But in finishing, let us return to where this article began. The 2015 Declaration of the International Forum for Agroecology sets out a framework for action. The Declaration emerged from a meeting of delegates representing diverse organisations and international movements of small-scale food producers and consumers, including peasants, indigenous peoples, communities, hunters and gatherers, family farmers, rural workers, herders and pastoralists and fisherfolk. These diverse constituencies provide 70 percent of the food consumed by humanity, and, as such, are the primary global investors in agriculture, as well as the primary providers of jobs and livelihoods in the world. The Declaration can be read here. The delegates regard agroecology as being the answer to how to transform and repair a food system and rural world that has been devastated by industrial food production and the green revolution. While agroecology may not be where transformation begins and ends for everyone, it must at least be regarded as a key form of resistance by food producers and rural communities to an increasingly globalised economic system that puts profit before the environment and puts the needs of agribusiness ahead of life itself. Has Monsanto Poisoned Most People In The United States? 93% of the urine tested by the University of California San Francisco lab tested positive for glyphosate residues. No glyphosate was found in the tap water samples. These results are only from a small percentage of the total samples collected. More data will be released later in 2016 that shows a very similar percentage contamination rate in a much larger number of people, according to the UCSF laboratory. Glyphosate has never been studied by regulators or the chemical industry at levels that the human population in the U.S. is being exposed to (under 3 mg/kg body weight/day).This is a huge hole in the global risk assessment of glyphosate, as there is evidence suggesting that low levels of the chemical may hack hormones even more than at mid and high levels, according to independent science – a higher dose does not necessarily make a more toxic, hormone disruptive effect. Glyphosate has never been studied by regulators or the chemical industry at levels that the human population in the U.S. is being exposed to (under 3 mg/kg body weight/day).This is a huge hole in the risk assessment process for glyphosate, as evidence suggests that low levels of the chemical may hack hormones even more than high levels – a higher dose does not necessarily mean a more toxic, hormone disruptive effect. “If consumers had any doubt about the extent to which they are being poisoned by Monsanto’s Roundup, these tests results should put those doubts to rest,” Cummins said. And why don't we have some good studies, since they've been putting it on our food crops for nearly a generation? And why did Congress arbitrarily decide to raise the levels considered safe (in 2013 if my memory serves)? Because we are just alive so Monsanto can make profits. One assumes if the LD 50 for Round-up were high enough, then they would invent another chemical to poison us with, since dead consumers generally don't spend much money on high fructose corn syrup and twinkies. Collapse is Monsanto taking over the Weed Biz. California’s “Adult Use of Marijuana Act” (AUMA) is a voter initiative characterized as legalizing marijuana use. But critics warn that it will actually make access more difficult and expensive, squeeze home growers and small farmers out of the market, heighten criminal sanctions for violations, and open the door to patented, genetically modified (GMO) versions that must be purchased year after year. Regulators in California took a pivotal step on Monday toward becoming the first state to require the popular weed killer Roundup to come with a label warning that it's known to cause cancer. Officials announced that starting July 7 the weed killer's main ingredient, glyphosate, will appear on a list California keeps of potentially cancerous chemicals. A year later, the listing could come with warning labels on the product, officials said. However, it's not certain whether Roundup will ultimately get a warning label. Monsanto, the chemical's maker, has filed an appeal after losing in court to block the labeling, arguing that Roundup doesn't cause cancer and that the labels will harm the company's business. State health regulators must also decide if there's a high enough amount of the chemical in Roundup to pose a risk to human health. State officials received more than 1,300 public comments. "We can't say for sure," said Sam Delson, a spokesman for California's Office of Environmental Health Hazard Assessment. "We're reviewing those comments." Glyphosate has no color or smell. Monsanto introduced it in 1974 as an effective way of killing weeds while leaving crops and plants intact. It's sold in more than 160 countries, and farmers use it on 250 types of crops in California, the nation's leading farming state. Attorney Michael Baum, who represents more than 300 people who claim a loved one became sick or died from exposure to Roundup, says the fight to protect Californians is not over. He said that the state's failure to set the proper risk level would undermine protections California put in place by listing harmful chemicals. Scott Partridge, Monsanto's vice president of global strategy, said in a statement that glyphosate does not cause cancer and there's no need to list it as harmful in California. "This is not the final step in the process," Partridge said. "We will continue to aggressively challenge this improper decision." 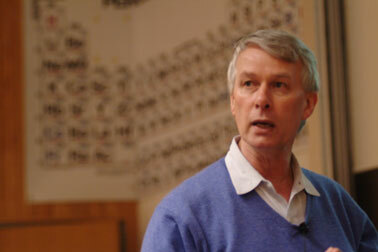 Richard John Roberts is a prominent biochemist and molecular biologist. On his recent visits to India, he has talked about the supposed virtues of genetically modified (GM) food and crops, while attacking people who have valid concerns about the technology. In 2015, while in Mysore, he implied the denial of GM food to people in developing nations is a crime against humanity. He also argued that the present engineering of GM crops is precise and is little different from conventional breeding. Roberts has claimed on more than one occasion that “millions of people in the third world would die” of starvation unless GM crops are introduced and that Greenpeace is in the business of scaring people and should be put on trial for crimes against humanity. As a Fellow of the Royal Society, Roberts should be aware of the Society’s misleading and exaggerated statements that it has used to actively promote genetically modified organisms (GMOs) since the mid-1990s. Unfortunately, Roberts himself reads from a similar script. In an open letter to the Royal Society, author of ‘Altered Genes, Twisted Truth’ Steven Druker argued that the scientific institution has engaged in a campaign of disinformation and the smearing of credible research that has showed firm evidence pointing to health dangers of GM. He added there is not now nor never has been a consensus within the scientific community that GM foods are safe. Renowned geneticist Mae-Wan Ho has addressed the “central dogma” of molecular biology, which provides a “simplistic picture” of the precision involved in GM. It must be re-iterated that India’s edible oils import bill has risen not because the indigenous sector is unproductive and thus needs GM mustard to boost yields (it has no GM trait for improved yield and is anyhow outperformed by existing non-GM varieties). Until the mid-1990s, India was virtually self-sufficient in edible oils. Then import tariffs were reduced, leading to an influx of cheap (subsidised) edible oil imports that domestic farmers could not compete with. This devastated the home-grown edible oils sector. Roberts seems ignorant of this basic fact. It is essentially a trade policy issue which proponents of GM misrepresent. Rodrigues has gone to the Supreme Court to seek a moratorium on the release of any GMOs in India in the absence of comprehensive, transparent and rigorous biosafety protocols and biosafety studies conducted by independent expert bodies. A recent report (p.5) by the Parliamentary Standing Committee on Science & Technology, Environment and Forests is scathing in its criticism of the regulation and risk assessment of GMOs in India, including GM mustard. The Committee strongly believes that, given the situation, no GM crop should be introduced into the country. This report is entirely in agreement with four previous official government reports. In her various submissions to the Supreme Court, Rodrigues has made it clear – supported by a good deal of data – that GM mustard does not improve yields and that there is in fact no need for it. Field trails have been based on invalid tests, secrecy, poor science and a lack of rigour and there has been an outright case of unremitting fraud and regulatory delinquency. From the issue of labelling GM food to ‘substantial equivalence’, the science around GM in general has been distorted, debased and bypassed to serve commercial interests. Not a single long-term epidemiological study has been conducted with GMOs despite claims about ‘safety’. As far as GM cotton in India is concerned, despite what Roberts claims, Rodrigues’s evidence to the Supreme Court makes it patently clear that yields have stagnated and insecticide use has increased to pre-GM cotton levels as new highly damaging pests have emerged and pest resistance to the technology is spreading. Add to that the high costs of GM seed, continued insecticide use and usury costs and the situation has become economically devastating for poor farmers and is likely the proximate cause of the increase incidence of suicides. GM crops that are on the market today are not designed to address hunger. Four GM crops account for almost all of worldwide GM crop acreage, and all four have been developed for large-scale industrial farming systems and are used as cash crops for export, to produce fuel or for processed food and animal feed. Roberts talks about GM being necessary for feeding the hungry millions, yet GM crops deliver no traits for yield. Consider that “GM crops have not consistently increased yields or farmer incomes or reduced pesticide use in North America or in the Global South (Benbrook, 2012; Gurian-Sherman, 2009)” (from the report ‘Persistent narratives, persistent failure’). Consider too that GM agriculture is not ‘feeding the world’, as described in the 2016 New York Times piece ‘Broken promises of GM crops’. Evidence shows that, across the globe genetic engineering has not increased the yield of a single crop. Numerous high-level reports have argued that to feed the hungry in poorer regions like India we need to support diverse, sustainable agroecological methods of farming (not GM) and strengthen local food economies. Agroecological approaches account for the ecological aspects of agriculture, including the building of soil fertility, the need to ensure biodiversity such as natural pest enemies and pollinators and the genetic diversity of crops and breeding and adapting crops to local or regional agroecological conditions. All the things that chemical-intensive industrial agriculture has undermined, as underlined in this very revealing open letter to Indian officials by Bhaskar Save, which Roberts should certainly read. While Roberts makes various fanciful claims about the benefits of GM, they just do not stack up. In the report GMO Myths and Truths, the evidence presented shows that conventional breeding continues to outstrip GM in delivering crops that yield well, resist disease, are nutritious and tolerate drought and other types of extreme weather. Roberts’s approach is just plain reductionist. His attitude to the politics of GM is also one dimensional. It is not Greenpeace or a bunch of green-oriented elitist ideologues that is contributing to world hunger but the power, influence and ambitions of a very wealthy and politically well-connected group agribusiness concerns that is promoting a highly profitable GM technology. The GM approach and the model of agriculture it is linked to is ecologically unsustainable and upheld by taxpayer handouts: in the US, the average costs of production for (GM) commodity crops is often greater than the price farmers get; farmers rely on subsidies that are often more than the crop value, while most profits in the chain are secured by the seed and pesticide corporations. At the same time, GM has resulted in the increased use of herbicides as well as the coating of most seed with powerful and harmful insecticides and fungicides. To serve the interests of these corporations, a number of treaties and agreement over breeders’ rights and intellectual property have been enacted to prevent peasant farmers from freely improving, sharing or replanting their traditional seeds. Large corporations with their proprietary seeds and synthetic chemical inputs have eradicated traditional systems of seed exchange. They have effectively hijacked seeds, pirated germ plasm that farmers developed over millennia and have ‘rented’ the seeds back to farmers. As a result, genetic diversity among food crops has been drastically reduced, and we have bad food and diets, degraded soils, water pollution and scarcity and spiraling rates of poor health. The Food and Agriculture Organization of the United Nations estimates that globally just 20 cultivated plant species account for 90% of all the plant-based food consumed by humans. This narrow genetic base of the global food system has put food security at serious risk. The corporate-dominate industrial model is not only an attack on biodiversity and – as we see the world over – on the integrity of soil, water, food, diets and health but is also an attack on the integrity of international institutions, governments and officials which have too often been corrupted by powerful transnational corporations. It is very convenient for Roberts to ignore issues surrounding international trade policy, inappropriate development strategies, the impacts of commodity market speculation, sovereign debt repayment issues, land speculation, the nature of export-oriented monocropping, sustainable agriculture, fluctuating oil prices, the dynamics of structural inequality and poverty or any of the other issues that impact global and regional food security and which create food deficit areas and fuel hunger and malnutrition. Perhaps it is convenient for him to overlook all of the above issues, which in reality, not in the fantasy world of a pro-GMO lobbyist, determine humanity’s ability for feeding itself effectively and properly. It certainly does not lie in an already failed pesticide resistant GM plant technology in India or herbicide resistant plants which would be wholly inappropriate for a dominated by small multi-cropping farms. The globalised industrial food system that transnational agribusiness promotes is not feeding the world, has destroyed rural economies and is responsible for some of the planet’s most pressing political, social and environmental crises. But for Roberts to acknowledge any of this would derail his agenda. What many might find “disgusting” is a scientist who ignores available evidence to lobby for GM and seems unable or unwilling to come to terms with the wider issues. Willful ignorance is no excuse for promoting inappropriate technology in India or for denigrating critics who have valid concerns. Monsanto and Bayer. A Marriage Made in Hell. Bayer, a German pharmaceutical and chemical company, has won approval in the US to buy agricultural giant Monsanto. A blockbuster deal between Bayer and Monsanto appears to be moving ahead. On Monday, the US Department of Justice approved the German pharmaceutical and chemical group's bid to buy the US seed giant for more than $60 billion, The Wall Street Journal reported. Bayer agreed to sell off additional assets to alleviate anti-trust concerns. The two companies first announced the potential deal in September 2016, saying the move would boost agriculture research and innovation. "By the time 2050 rolls around, the world will have 10 billion people, and the demand for food will double," Robb Fraley, Monsanto's chief technology officer, told Business Insider last year. "The whole point here is that the business combination between Monsanto and Bayer will allow the companies to invest in and create more innovation, and it's going to take a huge amount of innovation in order to double the world's food supply." Last month, the deal won antitrust approval in the European Union. US approval was expected as well, given that the CEOs of Bayer and Monsanto, Werner Baumann and Hugh Grant, visited President Donald Trump before he took office and said in a statement that the three had a "very productive meeting" at Trump Tower. This is an updated version of a story originally published February 5, 2017. There was a very amusing piece on NPR yesterday that suggested that Monsanto and some other mega-giant Big Ag companies are promoting regenerative farming and organic soil rebuilding in the US midwest. I almost pissed myself laughing. They are rebuilding alright. Their public image. If the truth was ever widely disseminated, they'd be sued into bankruptcy. Very clever, these Planet Poisoners. Posted: June 8, 2018 at 1:56 a.m.
Nearly two years after Bayer's acquisition of Monsanto was first announced, the financial part of the $63 billion merger was finally completed Thursday. "Today's closing represents an important milestone toward the vision of creating a leading agricultural company, supporting growers in their efforts to be more productive and sustainable for the benefit of our planet and consumers," said Hugh Grant, outgoing chairman and chief executive officer of Monsanto. But amid a still-ongoing marathon to secure regulatory approval of the deal, Thursday's closing simply marks Bayer's purchase of the Creve Coeur, Mo.-based agribusiness giant. Many details -- including those about personnel changes and specific strategies of the new company -- are still months away from any resolution, with other stages of the integration process yet to unfurl. "That basically means we transfer an awful lot of money and hope all the account numbers are correct," said Liam Condon, head of Bayer's crop science division, describing the close of the acquisition on a call with reporters earlier this week. "Bayer will then become the sole shareholder of Monsanto." But it will still require more patience before Bayer, the German life sciences company, gets the keys to the Monsanto kingdom. Condon explained that information about the joint company's future remains scarce because they must continue to operate independently for about a two-month period while Bayer sells off certain parts of its business to the chemical company, BASF. "This is only a matter of process, not a matter of content," said Condon. "So [the deal] is definitely going to happen." During that two-month window when the companies continue to operate as competitors, the Monsanto name -- which will be dropped once the companies unite -- will see its final days. Only after that period lapses can Bayer finally peer under the hood at confidential information about Monsanto's business operations. Condon said that access is needed before any changes can be assessed in earnest. Even so, some comments have painted at least broad strokes of what to expect -- particularly for Monsanto's footprint in the St. Louis area. The region will become Bayer's North American headquarters and retain its presence as a leading hub of biotech research. Bayer's crop science researchers, for instance, will join Monsanto's research campus in Chesterfield after moving from their current home in North Carolina. The timing of that move -- and the precise scope of how many employees will come and go from St. Louis-area facilities -- remains uncertain, with Condon saying that it "is going to take probably a year" to unfold. "Some people will move immediately, some people will take longer," said Condon. "This also depends on family situations -- kids at school and whatever." And while it's not yet clear what broader personnel changes might be in store, Condon did say that employment numbers will fluctuate in the short term. "There will be some fluctuation and there will be some changes in some jobs, but over time this is going to be an innovation engine and we're going to have to be investing," said Condon. "A lot of that investment is going to be in R&D in the U.S. And as the company grows, there's also a need for supporting functions. ... So over time, my assumption is that there will be more employment, as opposed to less. But, for sure, there will be some impacts that we can only detail out after this initial two-month period." Looking ahead to when Bayer can finally review Monsanto's internal metrics, Condon added that he "wouldn't expect any kind of sudden people decisions in this year." Bayer has already identified an estimated $1.2 billion in "synergies" that it could realize from the merger within a four-year period. Of that figure, about $200 million stems from projected sales, while roughly $1 billion is tied to overlapping "infrastructural-type costs," according to Condon. Condon did not talk about potential overlap in terms of personnel, but cited separate real estate and licenses for IT systems as two significant areas where the companies could save money just by teaming up. "There's a huge opportunity to simply bring everything into one place," he said. Speculation about the company's new look also extends to philanthropic circles in St. Louis, where Monsanto has long been a strong corporate presence in charitable giving. Condon, though, said that Bayer would maintain -- and even expand -- commitments to the community. "We both feel highly committed to the communities in which we are based," he said of the two companies. "That will continue, particularly now that the bigger footprint is going to be in St. Louis. Our ties in St. Louis are, if anything, going to be strengthened." Jury finds fault with herbicide manufacturer despite lack of scientific evidence. Enlarge / A weedkiller has gotten its manufacturer in very large legal troubles. On Friday, a California jury hit Monsanto with $289 million in damages in a lawsuit brought by a patient suffering from terminal cancer, accepting the plaintiff's claims that his disease was caused by the company's popular herbicide, Roundup. The suit neatly sidestepped the complicated epidemiology of the active ingredient in the herbicide—glyphosate—and instead made the claim that the cancer was the result of glyphosate's interactions with other chemicals in Roundup—a claim for which there is even less evidence. The suit is one of hundreds in progress and will almost certainly be appealed by Monsanto, which was recently purchased by chemical giant Bayer. According to CNN, the suit was filed by a former groundskeeper for a school system near San Francisco named Dewayne Johnson. As part of his job, Johnson regularly used the popular herbicide and claimed that he suffered extensive exposure during two accidents within the past decade. 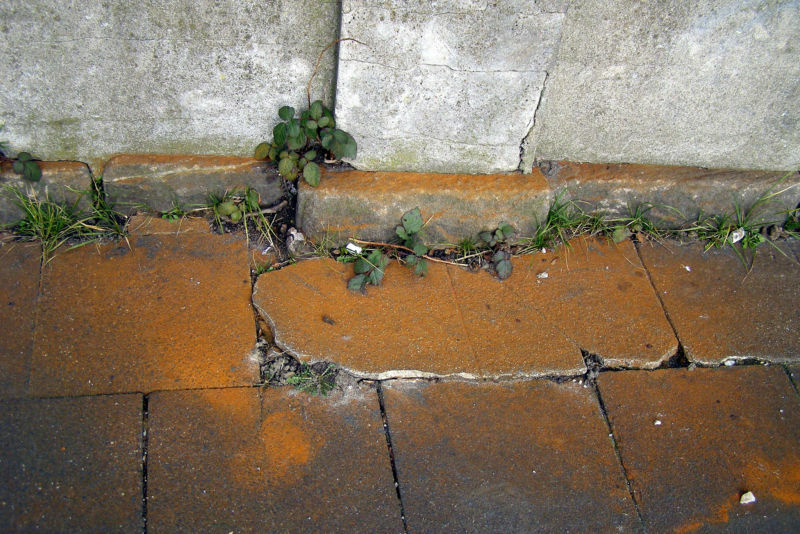 The degree of exposure can be an issue with glyphosate. High levels of exposure in animal testing has hinted that the chemical could cause cancer, and some small epidemiological studies found a link between cancers and extensive exposure during agricultural work. That was enough for the World Health Organization to label the idea that glyphosate caused cancer as "probable." But there have been questions raised about the significance of the animal studies even as the WHO report was being prepared. And a meta-analysis of epidemiological studies found no consistent association of glyphosate with cancer. European safety regulators have come to an opposite conclusion to that of the WHO, determining that glyphosate is not a carcinogen. Exposure outside of working directly with the chemical produces levels that are widely considered safe. 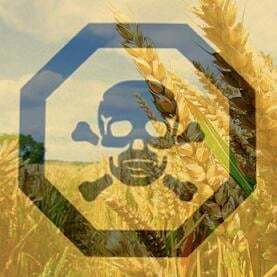 For example, FactCheck.org calculated that people would have to eat over 35 kilograms of agricultural products containing glyphosate a day just to reach the strictest safety limits. So it would be difficult to judge whether Mr. Johnson's two accidental exposures would cause any cancer risk whatsoever. But that issue was sidestepped during the trial, as Johnson's lawyers argued that his cancer was caused by the combination of glyphosate and other chemicals present in Roundup. The evidence there is even less certain: glyphosate has been off patent for decades, and is found in products from many manufacturers beyond Monsanto. As a result, most studies focus specifically on the herbicide, since studying individual formulations would leave the work without much statistical power. For Bayer and its recently purchased subsidiary Monsanto, the verdict is a disaster. A quarter-billion of it is purely punitive damages, meant to punish the company for "acting with malice and oppression." There are also thousands of other cases focusing on Roundup pending. The company has already stated that it plans to appeal the verdict, and a Bayer spokesman has told the BBC that glyphosate is safe to use. The legal troubles keep mounting for German pharmaceutical giant Bayer Opens a New Window. since it acquired Monsanto last June for $62.5 billion as its weedkiller Roundup Opens a New Window. has now been linked to a second man’s cancer, as more than 11,200 other plaintiffs are waiting in the wings. This week Opens a New Window. , a federal jury in San Francisco found that Monsanto's Roundup was a “substantial factor” in causing 70-year-old Edwin Hardeman to develop non-Hodgkin lymphoma. The company denies the connection. The trial now moves to phase two, which will decide whether Monsanto's conduct makes it liable. The loss follows last year's groundbreaking case when another California jury found that the weedkiller was responsible for Dewayne “Lee” Johnson Opens a New Window. developing the same type of cancer. Last August, a jury awarded Johnson $289 million, which was later reduced to $78.5 million. The new study Opens a New Window. , which was released Monday by the International Journal of Epidemiology, Opens a New Window. showed links between glyphosate (a chemical that Roundup uses) herbicides and non-Hodgkin’s lymphoma, using data from more than 300,000 farmers and agricultural workers in France, Norway and the U.S. Researchers found that the specific type of non-Hodgkin lymphoma linked to glyphosate exposure was diffuse large B-cell lymphoma, the same type of cancer Hardeman has. Miller, who is currently in Oakland, California picking a jury for a husband and wife who both claim they developed non-Hodgkin’s lymphoma after long-term exposure to Roundup, said Bayer's management is still in denial about the weedkiller. “The best move for Bayer is to settle with their victims before the company drowns in this litigation,” Miller added. “Roundup products and their active ingredient, glyphosate, have been used safely and successfully for over four decades worldwide and are a valuable tool to help farmers deliver crops to markets and practice sustainable farming by reducing soil tillage, soil erosion and carbon emissions. Regulatory authorities around the world consider glyphosate-based herbicides as safe when used as directed,” Bayer said in statement following Hardeman's verdict. The company added that there have been more than 800 rigorous studies submitted to the EPA, European and other regulators in connection with the registration process that confirms that these products are safe “when used as directed.” Bayer, however, did not reply to a request for comment on the new study released this week on glyphosate. Miller and his law firm are urging Bayer to put a bold warning on Roundup and restrict its use.